THE INTERNET should be regulated to curb its immoral excesses, according to Nicolas Sarkozy, who made the statement on a visit to the Pope. "There's no liberty without rules. The law of the jungle, survival of the fittest, the most cynical, it's contrary to the values of liberté, egalité, fraternité, it's counter to civilisation," said the president while at the Vatican. Sarkozy has already talked of regulating the internet. In January, he called for a global strategy to "clean up the network", including the use of filtering tools. Socialist MP Patrick Bloche said the statement showed the president was willing to "limit the incredible freedom that [he] is unable to accept". "These words are the perfect illustration that Nicolas Sarkozy does not understand what the internet is about," he said, adding that the president was just presenting himself in front of the Pope as "a good Catholic who fights against immorality". "Having personally appointed the head of Radio France and France Télévisions… Nicolas Sarkozy has now fallen into temptation to take control of the internet," he added. 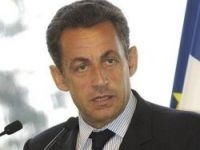 The head of technology, communications and freedom at the Ligue des Droits de l'Homme (LDH), Jean-Claude Vitran, said: "Rather than excess and immorality, what annoys Nicolas Sarkozy the most is that the internet has becoming a formidable counterforce." "To regulate, that is to put up barriers against freedom of expression," he added. Mr Vitran said that such measures would allow the government to control sites such as Mediapart, which broke the Bettencourt-Woerth tax affair this summer. The head of the LDH, Aurélien Boch, said: "The internet is one of the rare media that Sarkozy can't control and that scares him.